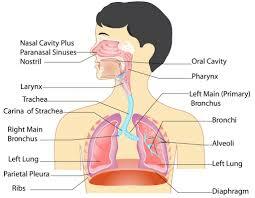 The lungs are the primary organs for the human respiratory system; their main function is to intake and expel air. The breathing process is where the lungs take in oxygen through inhalation, and through exhalation carbon dioxide is released. This is a complex process that requires a lot of detail to understand how this links to chILD. When meeting with healthcare professionals, they will use words that may not be familiar. Parents may feel thrown in the deep end with the terminology involved. So, for those affected by chILD it may be best to have a little refresher on the lungs and how they develop. This site is not going to explain this complex process however, we are happy to provide resources and links to quality sources of information. National Heart, Blood and Lung Institute – What are the lungs? If you have any resources that would be helpful to add, please contact us.